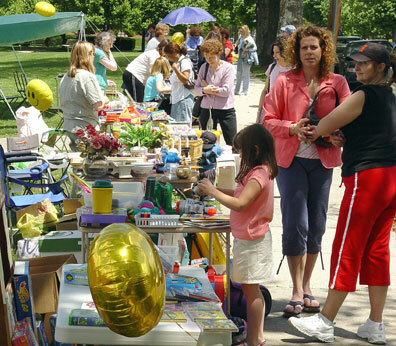 About 170 households participated in the first town-wide garage sale that was held on a bright and sunny Saturday, May 21, 9:00 a.m. to 4:00 p.m. 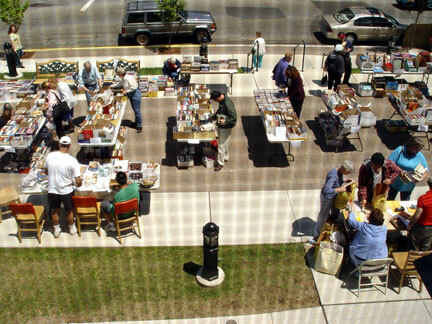 Adding to the community festivities The HH Free Public Library held its Annual Book and Bake Sale on the Municipal Complex Plaza and the Farmer's Market was on The Boulevard. 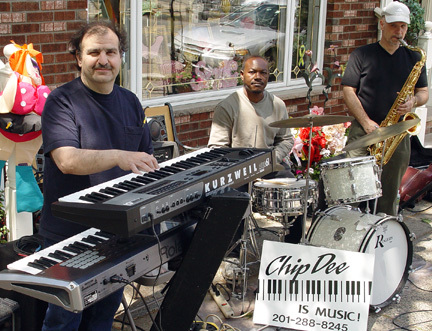 Several businesses participated -- including Chip Dee Music who played in front of Heights Flower Shoppe. 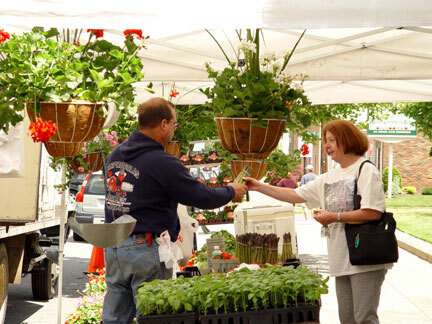 A free map indicating participants addresses was distributed to the shoppers. The $10 permit fee benefited D.A.R.E., the HH Free Public Library and the Municipal Anti-Drug Alliance. 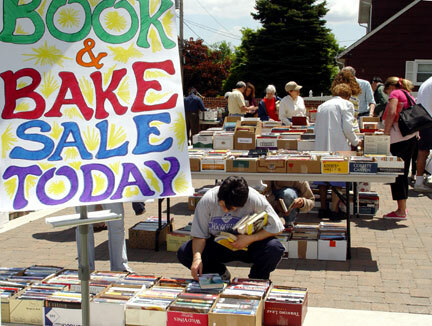 Participation in this sale did not count towards the "two garage sales" per year ordinance. Space was made available for apartment dwellers and fundraising organizations at the High School. 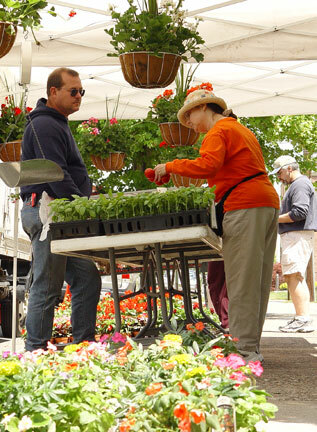 The Farmer's Market was at The Boulevard and Washington Place and had a huge assortment of plants and early produce. 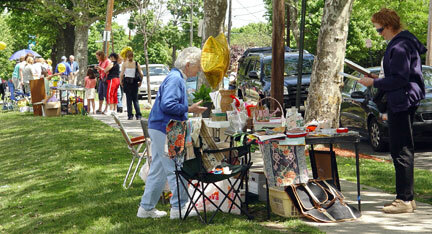 Several Boulevard businesses participated. Here is Chip Dee Music performing in front of Heights Flower Shoppe.